Anchored is a Bible study that directs grieving moms to God’s truth where they can find hope regarding their loss of a baby during pregancy. With personal stories, seasoned insight, and gentle questions, you are invited to lay your deepest hurt at the foot of the cross and allow God to anchor your brokenness. Anchored invites you to grieve in a honest and faith-filled way. With personal stories, seasoned insight, and gentle questions, you are invited to lay your deepest hurt at the foot of the cross and allow God to anchor your brokenness. ERIN CUSHMAN is the founder of Hope Mommies, a non-profit ministry that serves bereaved families. Erin and her husband Blair founded Hope Mommies after their firstborn daughter Gwendolyn died in 2010. They live in Kerrville, Texas with Gwendolyns two younger siblings. 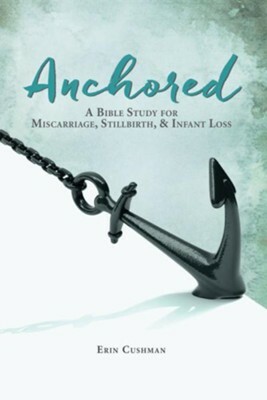 I'm the author/artist and I want to review Anchored: A Bible Study for Miscarriage, Stillbirth, & Infant Loss - eBook.